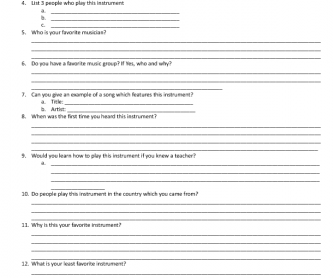 This will allow intermediate to advanced students to write about their favorite instrument. Completion time - 5 days or 1 school week. Please show youtube videos of instruments. 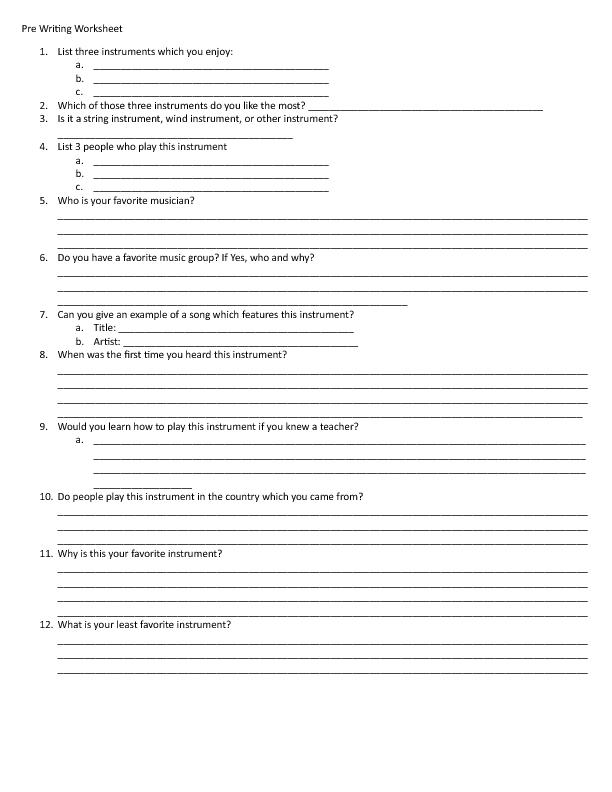 I personally believe that you can introduce new concepts through video at the beginning of each class encouraging students to participate in music discussion.